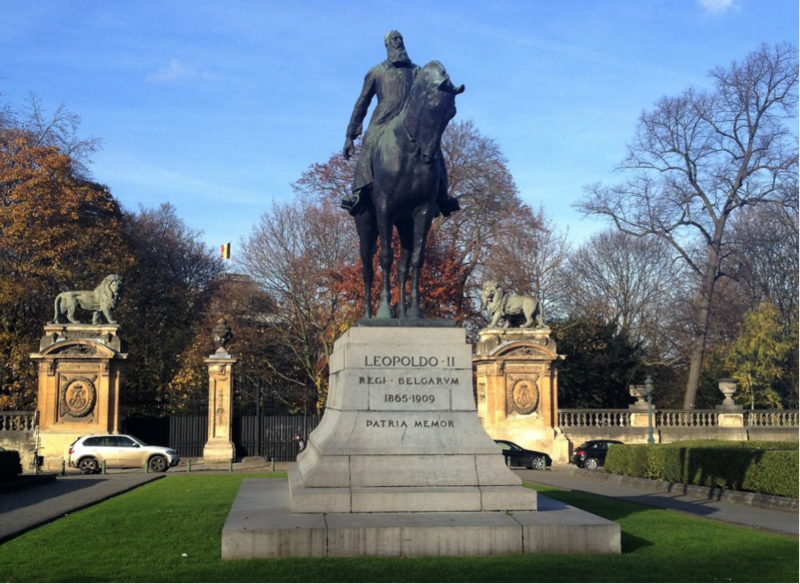 Statue of Leopold II in central Brussels. Photo credit: Daniel Cullen. Overshadowed by Oxford’s ongoing Rhodes statue controversy, in late April a motion was debated by student representatives at Queen Mary, University of London, calling for the removal of plaques commemorating the 1887 visit of King Leopold II of Belgium. Presenting the motion, the university’s Pan-African Society referred to atrocities committed during Leopold’s rule of the Congo Free State and argued that the presence of the “deeply offensive relics” was “glorifying and uncritical”. The group proposed that the plaques be relocated and recontextualised, “preferably in a space dedicated to the memorialization of the crimes of genocide, colonialism and imperialism”.